Last week I had the opportunity to visit Salesforce’s World Tour event in Boston at the Hynes Convention Center. I’ve been going to these “mini-Dreamforce” events for the past 6 years or so. It was truly excellent to get to experience the latest iteration of Salesforce’s customer-facing roadshow in my own backyard in Boston. Salesforce announced they’re moving the maintenance exams for Salesforce certifications to Trailhead, making the exams free. Salesforce got in on April Fools with their “Trailbed” promotion, which was a contest to get more folks to try out and use Trailhead. At the Boston World Tour, the story of the Golden Hoodie for Trailblazers continued with a new hoodie awarded during the keynote (more on this later). Also at the tour, every attendee was challenged to try Trailhead and earn a badge at the event. The reward was a plush Codey doll, which was highly sought-after. Why is Salesforce making such a big push with Trailhead? With the Salesforce economy poised to grow five times larger, to the tune of 3.3 million new jobs by 2022, Salesforce needs to throw everything they can at finding the people to fill those jobs or else they may become a victim of their own success. Salesforce, however, is uniquely poised to face that challenge. One of Salesforce’s core foundational elements is philanthropy. The company sees Trailhead as an incredible engine to help change the world while helping to ensure the success and growth of their own company. It’s the ultimate win-win. With the introduction of Golden Hoodies last year, Salesforce made it a point to recognize people who have used Salesforce and Trailhead to transform their careers or make an impact on the lives of others. 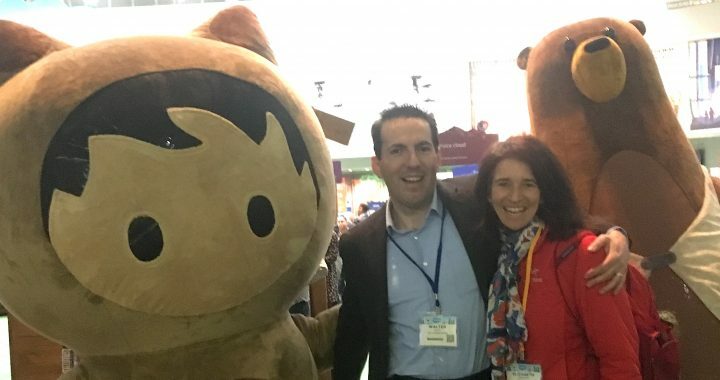 Take a look at the story of Zac Otero to see the kind of change that Salesforce is delivering to the world through Trailhead. It’s the kind of change that can prepare millions of new people to fill the jobs Salesforce needs to keep growing. Trailhead isn’t just for Salesforce admins. The lessons go way beyond the technology of Salesforce, like this MBA-focused curriculum from the Drucker School of Management. In addition to skilling up admins, Trailhead can be used as a way to help educate and train your users too – get creative! If you want to get started with Trailhead, here’s a handy guide to help you get started. In the second half of the year Salesforce will release myTrailhead – a white label version of Trailhead for businesses to create their own Trailhead systems. If you are onboarding employees, training customers or otherwise in the business of education, you’ll want to be ready for this, as it’s poised to set a new standard for the industry. Are you as excited about Trailhead as we are? Want to discuss how can you use Trailhead to strengthen your company? Contact us and let’s hit the trail together! Posted in Salesforce and tagged myTrailhead, Salesforce, Trailhead.